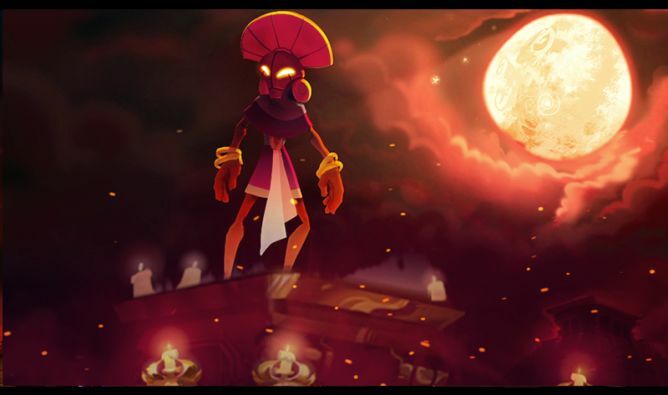 Entrenched atop the legendary Towaga tower, you must repeal the vengeful shadows emerging from the very depths of the ancient world. Hang on to your smartphone and attempt to survive as long as possible ! Towaga is an action-packed, intense and fun 2D action game developed specifically for iPhones & Android. You play Chimù, a powerful sorcerer and last survivor of the end of time, who is now entrenched atop the legendary Towaga tower. Towaga will first be available on AppStore (iOS). An Android release will follow. You start your game posted at the top of the Towaga Tower. From your golden altar, you overlook your city, ravaged by the shadows. 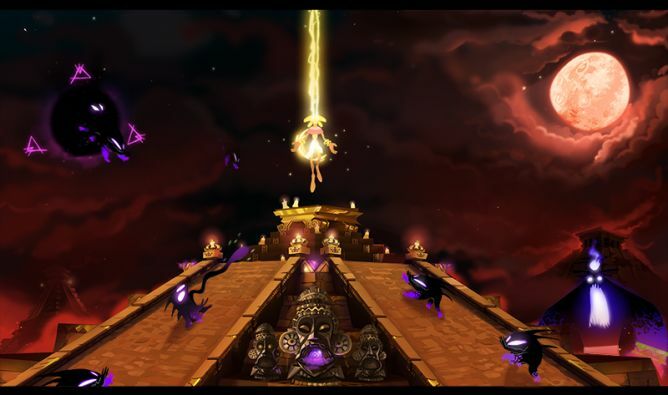 When dark monsters climb up your tower, you have to push them them back with your control and damage spells, before they reach you. For each damage combo, your trance gauge will gradually fill, bringing you closer to becoming a Being of Light. During the invasion, portals will spawn around you. 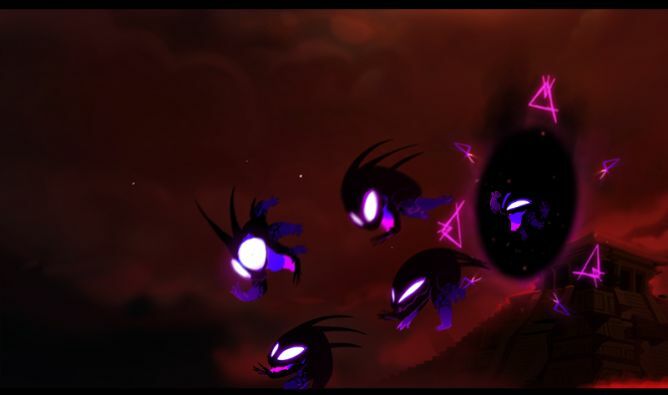 Waves of enemies coming from the old world through the portals will force you to explore and seal the portals, each portal having its own universe and a unique way to be sealed. At the same time, you need to consider your survival by strategically deciding between upgrading a spell or unlocking a particular ability. You can run three spells by means of short manipulations on the touch screen. Each spell has a specific function which you must use with caution in order to survive and ensure maximum damage to your enemies. Divine Strike: a powerful spell which inflicts great damage to a single target. Wind Shield: A spell which protects you from a group of enemies by creating a magical shield. Chain Lightning: a spell which creates a designated area which inflicts minor damage to a group of enemies. Divine Possession : You will have the option to transform yourself into a being of light with super powers. You will then have access to more powerful spells within a limited time-frame. 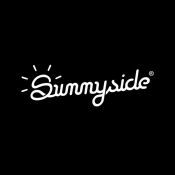 We are www.Sunnyside-interactive.com, a young, Swiss-based start-up and indie game developers, based in Lausanne, Switzerland. A united team, we are highly motivated to meet our goals: create fun and challenging games. We love sharing our gaming world with gaming players. Your contribution to our project on www.wemakeit.ch will support our team’s dream to bring to life an exciting video game. Over and above this, you will receive exclusive rewards in recognition of your support. We also wish to contribute to the Swiss video game market and boost its popularity within our country. With your help, and if the game is successful, it will allow us to hire more developers and support the Swiss independent developers community! Thank you for having taken the time to discover our project ! This project ended successfully on 23/3/2014 22:00! – THE ONLOOKER – You will receive full access to the private developer Towaga forum and be able to follow and react to the development of the game. – THE COMPULSIVE PLAYER – You will receive a password to download the game + a password to access a game which unlocks exclusive content, as well as all future DLC’s of the game. – BOOK MASTER – Bookseller You will receive Artbook «The Art of Towaga». – THE SPECIAL GUEST – You will receive two invitations to the launch party of the game. Your name will appear in the game’s credits as a« Gold Contributor» and you will receive a bag full of goodies! – THE PASSIONATE – You will receive a deluxe (33cm x 38cm) numbered edition of our book «The art of Towaga» with a printed, personalized recognition of your contribution at the end of the book. You will also receive an abstract painting created especially for you by a number of Swiss artists. – THE SPONSOR – Become an official sponsor of Towaga. The logo of your company or organization will appear in the credits as an official sponsor. Your logo will appear in the partner category of our website. Reach hundreds of thousands of users ! – JUNIOR PRODUCER – Become a Towaga producer! You will receive 1% of the gaming revenue during its first year of operation. -THE CREATIVE – You will be involved in the creation of Towaga ! 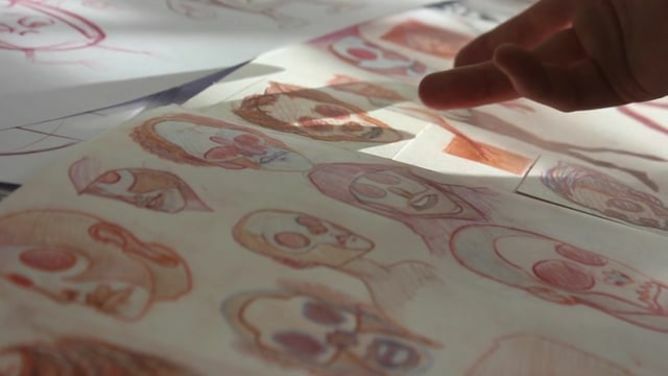 Work with us to create a custom enemy, participate in our meetings to share your ideas for names for the spirits and spells + you will receive a pass sunnyside giving you access to our tutorials & resources. And as a bonus you will unlock full access to the forum Towaga, your messages will be highlighted by an exclusive color and you can participate in our meetings on the content additions ! In addition you will be credited in the credits as being part of the production team of the game ! - L’ÉTINCELANT – Vous deviendrez officiellement contributeur « Diamant » du projet, votre nom sera mis en avant dans la communication liée à Towaga et son actualité (générique, site, facebook etc.) Vous serez également invité à tous les évènements liés au projet et en bonus nous vous adresserons un remerciement unique et personnalisé à travers nos pages Facebook. – THE PRODUCER – Become a Towaga producer! You will receive 3% of the gaming revenue during its first year of operation. – PRODUCTEUR PLATINE – Devenez producteur platine de Towaga ! Vous recevrez 4% des bénéfices du jeu pendant sa première année de vente + 5% des bénéfices sur sa deuxième année de vente. Nous sommes Sunnyside Games, une jeune start-up basée à Lausanne et spécialisée dans le développement de jeux vidéo. Nous nous définissons avant-tout comme une équipe solidaire, polyvalente et motivée à atteindre ces objectifs, avec pour ambition de créer des expériences amusantes, décomplexées et surtout de partager notre univers avec la communauté des joueurs.